Welcome to the online home of Melrose Youth Hockey. We are continuously updating content on our site. Check in on us regularly for new information and announcements! 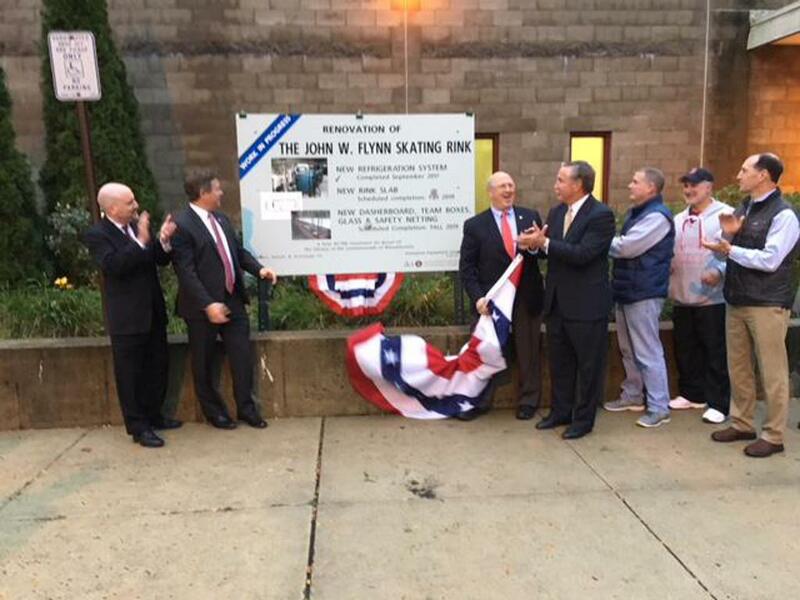 State officials visited Flynn Rink on Monday, October 15 to officially kick off the renovation of the facility! Show Your Spirit and Get Your Official MYH Apparel!!! The holidays are coming!!! Be sure to get your "official" Melrose Youth Hockey apparel! Again this year we are offering a variety of items and styles to fit even the most discriminating taste! All items offered are top quality and will have you looking like a real pro at the rink! So, don't wait! Ordering is easy...just click on the logo! All proceeds from the sale of MYH apparel goes to support the John and Thomas E. Burke Fund. ©2019 Melrose Youth Hockey Association / SportsEngine. All Rights Reserved.